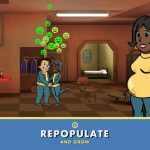 We’ve shared with you a number of Fallout Shelter strategy guides in the past, and through those tips you probably learned a few tidbits about Stimpaks and RadAways. As a refresher, Stimpaks are pretty much like the health kits with the red cross you’d see in many a game on many a platform, while RadAways, as their name implies, take the radiation away. 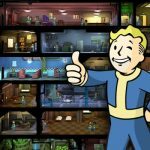 In Fallout Shelter, these two may be hard to come by, but if you follow these next few tips, you might be able to stumble upon more Stimpaks and RadAways than expected. What do we mean by this? Well, you need to have more Medbays so you can get more Stimpaks, and Science Labs so you can have more RadAways. And if it’s taking too long for these buildings to be created or for more Stimpaks and RadAways to be created, you can always use the time lapse cheat and set the time on your Apple device ahead by the duration it takes for these tasks to be completed. 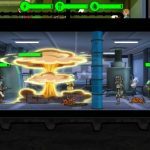 Merging rooms is one of the most important things you can do in Fallout Shelter to make your life a lot easier. And with that in mind, you can merge two or three Science Labs or Medbays – this would facilitate manufacture of both Stimpaks and RadAways when you’re sleeping, or any other time when you’re not playing the game or checking on your status. As we said last time, upgrades will cost you less if you only do them after merging rooms. Once you’ve upgraded following a merge, you won’t spend that much anymore on bottle caps for executing an upgrade. Your Dwellers, of course, will have to man both the Science Lab and the Medbay, and in order for them to do a good job at that, they’ll need high Intelligence scores. Smarter Dwellers will take less time when producing Stimpaks and RadAways, and will also be happier while doing so.